What a whirlwind of events the past few days have been. 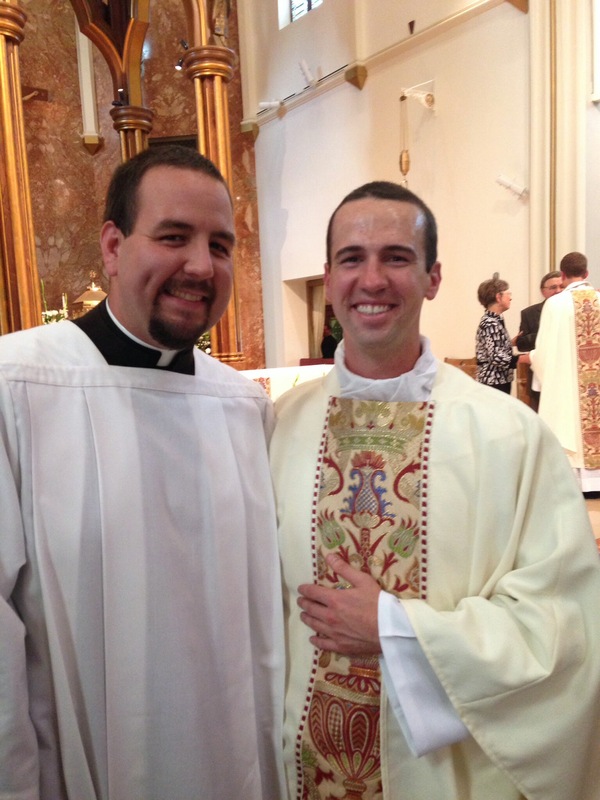 On June 20 I was blessed to be in Cheyenne for the priestly ordination of one of my best friends, Fr. Brian Hess, as well as another great man from Wyoming, Fr. Bob Rodgers. The ordination liturgy itself was beautiful and I couldn’t help but be awed by the ancient tradition of ordination by the laying on of hands by the bishop. Words fail to describe the immense joy and excitement I have for Fr. Brian and Fr. Bob as they now are configured ever closer to Jesus Christ, who is victim and savior. The people of Wyoming are truly blessed! Jesus gives us a pointed reminder for us all to place our trust ever more in God our Heavenly Father to provide for us in our daily lives. This passage from Matthew was proclaimed yesterday (Saturday) at Mass and it seems all the more appropriate as that Mass was Fr. Brian Hess’ first celebrated Mass of Thanksgiving. As a newly ordained priest this message is one I know Fr. Brian will take to heart. It is less about what we do or accomplish in our lives but rather what God does in and through us. He is the one in charge but all too often we think we are the ones leading the show and forget about God until something goes wrong. God is present with us in the good times as well as the bad and if we truly live out our vocations as Christians we would praise God in the good moments and also in the bad moments in our daily lives. Unfortunately it is easy to forget this. I pray that Fr. Brian and Fr. Bob continue to ever deepen their identity in Christ and rely solely on Him (and not on themselves) in their proclamation of the Kingdom of God to the people of God in Wyoming and praise God our Heavenly Father in every moment of their lives. I also pray that those of us heading to Guatemala today live out this truth too and not be worried about what will come tomorrow in Guatemala, but focus ever more on God and let Him alleviate our fears so we can live in the moment and let God work in and through that moment.